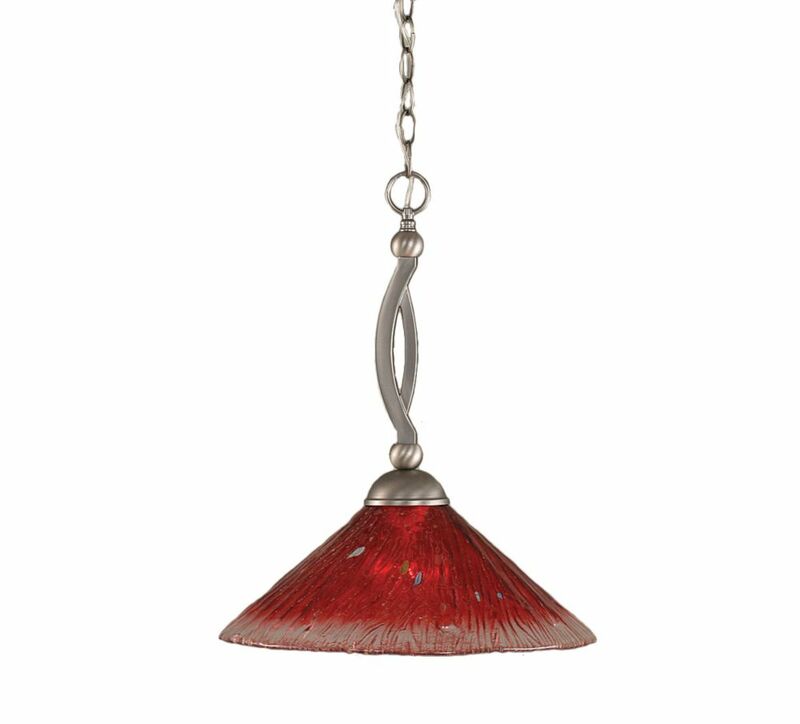 The Cabernet Collection is well known for quality, style and value; this transitional pendant is no exception. Expertly pairing a charming brushed nickel finish and easy to find incandescent bulbs, this fixture is both functional and picturesque. This well-rounded pendant is sure to satisfy your indoor lighting needs. Eglo's Nico pendant light is a modern fixture adaptable for any location. It's an enjoyable fixture as you can manually adjust the direction of illumination for each glass. Its matte nickel finish with white glass allows it to blend in a variety of dicor and also makes it suitable for any settings ranging from the transitional to contemporary ones. The cornerstone of the Satin Collection is quality, and this incandescent pendant is no exception. Combining a classic nickel finish and posh styling, you will find no better way to highlight the charm of your home. With the superb craftsmanship and affordable price this fixture is sure to tastefully indulge your extravagant side. Make a grand entrance with the dazzling design of this traditional ceiling pendant light. Suspended from an adjustable metal chain, the lantern-style light fixture features open iron framework and a shiny polished nickel finish. A suitable lighting option for a foyer or stairwell, the classical structure of the ceiling pendant surrounds four individual light bulbs that warm the atmosphere overhead. Incandescent light bulbs included.